Bloody Good Company: Where to go on holiday this summer? Being a quite passionate traveller, I always try to experience as much as possible in the limited amount of time I get to spend in a city or country. That's why I rather like to go on road trips or several shorter trips per year than one long holiday spent at the beach. Now of course I do love the beach and the ocean, but I always want to explore new places while on holiday. I think Sarah and I both got that from our parents. As kids we used to get pretty annoyed with them for going to museums, taking walks to old famous building or monuments and going on what seemed like endless bike rides along the country side. But now we both love this way of traveling the most. That's why two years ago, while I was just about to finish highschool, Sarah and I decided to go on an Interrail trip around Scandinavia for about three weeks during our summer vacation. There we wanted to get to know the capitals of Norway, Sweden and Denmark, but also spend some time wandering around in nature. Although one of the beauties of road trips is not knowing where exactly you are going, we've planned quite a bit of our journey in advance (Since we're German we like planning a lot). We started off by flying from Düsseldorf to Bergen where we spent 3 days discovering the city and the nature around. After our stay in Bergen we continued our journey and took the train to Oslo. This train journey was probably the highlight of the trip, the view as you pass through Norwegian Fjords is simply breathtaking. Also the personnel in the train (and all the trains we took in Norway, Sweden, and Denmark) was super friendly. After our time in Oslo we said goodbye to Norway and continued our journey through Sweden where we visited Stockholm, Helsingborg, and Malmö. During most of our trip we basically lived of fruits and baguette, which we purchased in the local supermarkets in order to save money. We definitely advise you to do the same or if possible cook in the hostel you're staying in in oder to save money. Also, it's great to try to fit places to stay through Couchsurfing or Airbnb. We mostly stayed in hostels where , if you are on a budget, it's advisable to stay in larger dorms while you're in big cities and then get private rooms in smaller cities where you can relax more easily. Staying in smaller cities for a couple of nights is not only great for your bank account, but it also gives you some time to relax and take things slow. That's why after spending a couple of days in Stockholm we stayed in Helsingborg to enjoy some time at the seaside. Then, we finally went to Copenhagen where we spent the last few days of our trip. When I think about it now, Copenhagen reminds me a lot of Amsterdam and I can't wait to go back soon. Exploring makes you tired and yes believe us, eventually Interrail will make you become a messy as well! Now, what we want you to take away from our experience is that Interrail is a great way of traveling and there are several different kinds of tickets available. 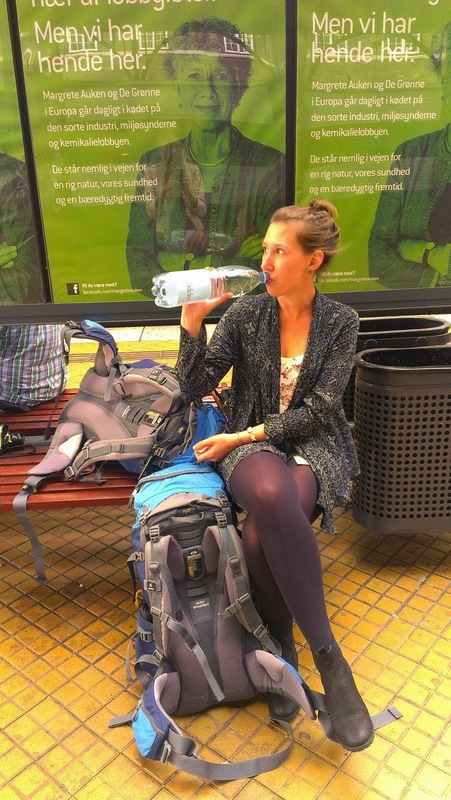 One thing, we would do differently on our next Interrail trip is that we would plan less. I know it might sound scary to some people not know where you are going the next day or let alone spend the night, but that's the beauty of road trips. It's a good idea however to have a basic idea of which cities/ countries you would like to visit to decide for how long you will be traveling and whether the Interrail ticket is really the cheapest option for your trip. So if you have nothing planned this summer yet, maybe this would be the right thing for you. For European citizens Interrail is reasonably cheap for people younger than 26 years old. However, if you're not a European citizen you can still buy ticket , but it will be a little more expensive. But after all, Interrail is a fairly cheap way of travelling, especially if you spend more time in countries like Italy, Spain, France, and germany where the costs of living are not as high as in Scandinavian countries. In order to make traveling more enjoyable make sure you purchase a quality backpack that fit's your body type. It's also advisable to buy special travel towels that hardly take any space and some travel sheets. This will save you money at hostels and also ensures that you won't have to sleep on disgusting looking sheets in low quality hostels. Also make sure to pack lightly. This means keeping it basic and don't forget to bring some comfortable sneakers. In a lot of hostels you can do your laundry so there is no need to carry an excess amount of clothes with you. 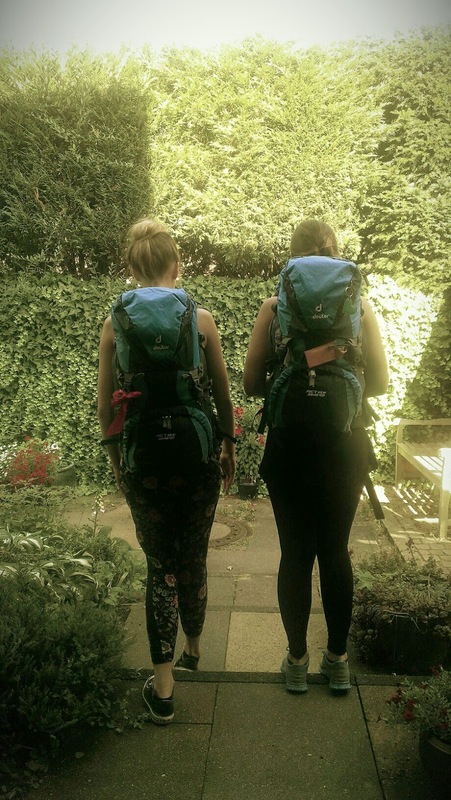 We hope our Interrail tips help you and might inspire you to go on a little road trip!